Lubbock TX First DWI Lawyer | Nicky Boatwright, P.C. A first-time DWI in the state of Texas has both criminal consequences and driver's license consequences. This page is intended to provide basic information about a DWI / DUI and does not replace the advice of a qualified, experienced criminal defense attorney. In general, a driver is guilty of DWI if either the driver has impaired mental or physical faculties as a result of consumption of drugs or alcohol, or the driver has a blood alcohol concentration of .08 or greater. Some drivers are held to stricter standards. For example, drivers under the age of 21 are not allowed to have any detectable amount of alcohol while operating a motor vehicle. For commercial driver's, the standard for DWI is a blood alcohol concentration of .04 or greater, instead of .08. A first time DWI in Texas is a Class B Misdemeanor. It carries a maximum fine up to $2,000. The jail sentence ranges from 72 hours to 180 days. The driver's license suspension is between 90 and 365 days, unless you receive probation and take the court ordered alcohol course. Suspensions for a minor is 1 year. A first time DWI with a blood alcohol concentration over .15 in Texas is a Class A Misdemeanor. It carries a maximum fine up to $4,000. The jail sentence ranges from 0 days to 365 days. The driver's license suspension is between 90 and 365 days, unless you receive probation and take the DWI Intervention class. 180 days up to 2 years. A suspension for a minor is 1 year. The penalties for a first time DWI with Open Container Enhancement carries the same consequences as a first time DWI, however, the range for jail time is six days to 180 days. DWI in the state of Texas is an enhanceable offense. As a result, a further consequence of a first time DWI is that any future DWI is treated more seriously. For example, a second DWI carries a greater fine, increased jail time and increased license suspension and a mandatory minimum of 3 days jail time if you are placed on probation. Further, a third DWI is classified as a felony in addition to other, more severe criminal and driver's license consequences. Once you plead guilty or are found guilty of a DWI, you could be put on probation for a period of time. Typically, you are sentenced to less than the maximum amount of time provided for by law with the balance of jail time stayed for the length of your probation. While you are on probation, you will be expected to maintain contact with your probation officer, keeping the officer informed of your address and phone number. You will be expected to abide by the law during your probationary period. Additionally, you can expect to pay a fee to be on probation. This fee is around $60 per month. You will also be asked to perform community service while on probation, pay fines and court costs. You will be ordered to attend DWI classes. These classes address the consequences of drunk driving. You will also be asked to refrain from drinking alcohol while on probation and to submit to testing at random upon request. If you are charged with a DWI, you need an experienced attorney on your side advocating for you. Nicky Boatwright is trained in both blood alcohol analysis and blood drug analysis. Additionally, she is trained to administer Standardized Field Sobriety Tests and Breath Tests. 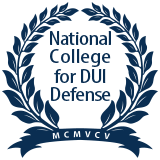 This advanced knowledge of DWI procedures uniquely situates Nicky Boatwright to advocate for her clients charged with DWI cases. She has the capability to identify weaknesses, errors, inaccuracies, etc. with the administration of SFST's and handling of breath or blood tests. For example, there could be a problem with the instrument used to test the presence of blood alcohol in your case. Nicky Boatwright has the expertise to identify those kinds of problems and she will use it to file appropriate motions, like a Motion to Suppress, if the facts and circumstances mandate it. These findings and subsequent filings can potentially mean the dismissal of your case. It all comes down to the facts and having an experienced DWI criminal defense attorney on your side. Contact Nicky Boatwright online or at 806-747-8002 to discuss the facts and circumstances of your case today.